Iron Gate releases are 879cfs. August 15th the Lower Klamath River salmon season opens to the take of two Chinook salmon per day with 1 adult and 1 jack per day, with no more than 6 salmon in possession. The Mid-Klamath was seeing some good fish movement, but with the expected HOT weather coming, I don’t foresee a lot of salmon movement until after it cools down some. Prior to the hot weather settling, the Weitchpec area was having some good numbers of salmon showing up and holding near the mouth of Bluff Creek and below Slate Creek. Now, I doubt the salmon will be moving up river until after the pulse flows kick in. 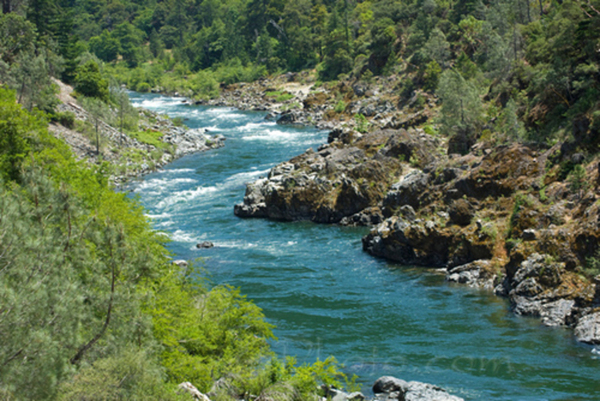 Once the pulse flows cool the Lower Klamath we should see some good movement of salmon come into the Weitchpec area. Up above I-5, trout fishing should be fair to good. Be sure to check the regulations before you go fishing so you will know the regulations. A reminder; Some Tribal Ceremonies are still going on in the Mid-Klamath so please be aware of the locations.